Prepare the tomato, celery and carrot. Heat a saucepan over a medium heat and add the olive oil. Cook the vegetables until the celery starts to go clear. This should take a few minutes. Add the soup and dilute by filling the soup tin up to halfway with milk and add to the mixture. Alternatively prepare the soup as per the instructions and add to the vegetables. Stir well until combined and then puree with a stick mixer or into a blender. Whilst this is happening, quickly roll your meatballs in a little flour and place in an ovenproof dish. 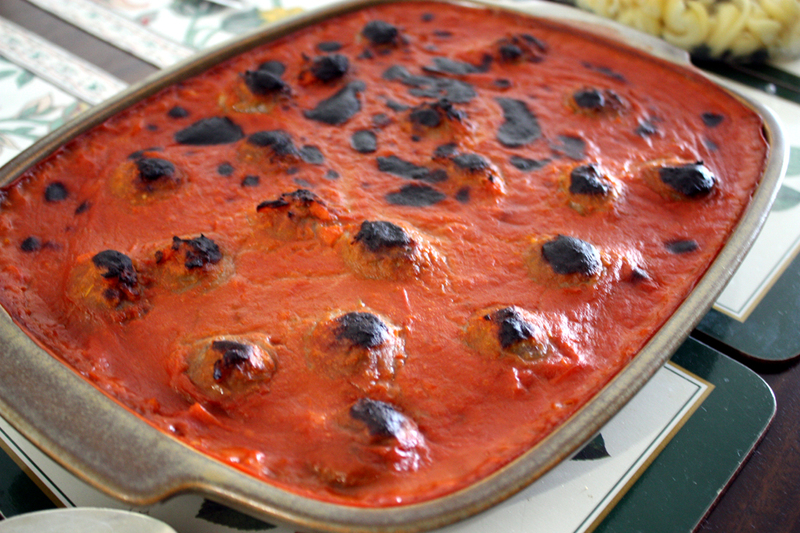 Pour the soup mixture over the meatballs and place the dish in the oven. Bake for approx 15-20 minutes or until the soup is bubbling and starting to brown. Serve with pasta or rice and a little cheese if you like.